A Capability Framework for the UAE’s Communicators – Why does this project matter? 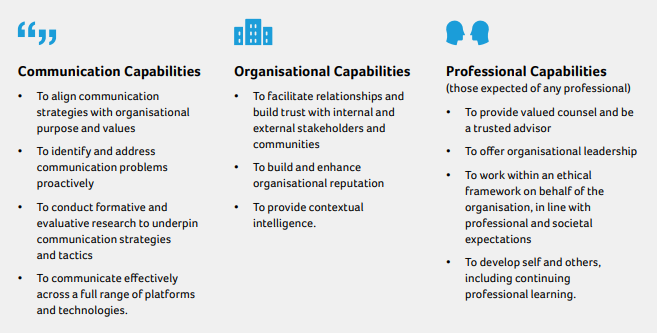 This time last year, the Global Alliance released the Global Capabilities Framework for Public Relations and Communication Management, the fruit of a two-year research project led by the University of Huddersfield (UK). This research asked practitioners, educators and employers in eight countries across six continents what they thought public relations is capable of, and how it can best fulfill its potential. 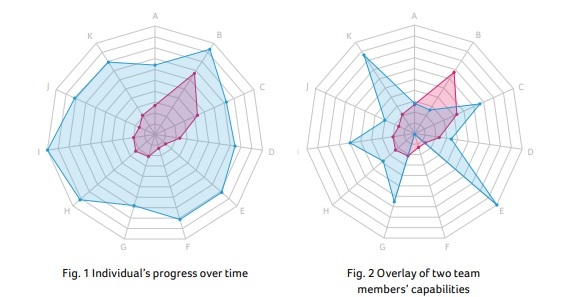 The combined outcome, the Global Capability Framework (GCF), can be used by communicators to both assess their own capability and potential, and set their own goals for their own development. The GCF should be also used by employers to understand how to improve their team’s strengths through training. Third, educators should look to the GCF as a basis for their curriculum’s development. What matters most to me is the country frameworks, specifically tailored to large markets where there’s a substantial communications function. There are country frameworks for Australia, Argentina, Canada, Singapore, South Africa, Spain, Sweden, the UK and the USA. To date, there’s not been a country framework for anywhere in the Middle East, but this will change. Zayed University’s College of Communication and Media Sciences is undertaking an initiative, in partnership with the University of Huddersfield (UK), to build a capability framework for communicators and students in the UAE. For the first time, we will have a practical aid that will help individuals, teams, employers and educators understand what are the key skills that we must focus on to both grow as a profession, and become more influential with our stakeholders. A UAE framework will reflect the cultural and regional variations in public relations as it is practiced in the UAE, and it’ll act as a guide for our future development. It will help us understand where we must improve as a nation if we’re going to become a global leader in communications. I’m excited about a UAE framework, in terms of what is means for communicators, employers and educators in the country. I’m also excited about how this country framework can become the first of many national frameworks across the wider Middle East. We’re still in our infancy as a function, and we have much more to achieve. National capability frameworks will help us become better communicators in a shorter space of time. Thank you in advance for everyone who will take part in this ambitious project, especially Zayed University’s CCMS. The World Public Relations Forum took place last month in Oslo. The event, probably the world’s biggest gathering of international PR professionals, included an announcement by the University of Huddersfield and the Global Alliance on the launch of the Global Capability Framework (GCF). I’m more than just excited about the GCF. This project, which took two years to complete, defines the capabilities of PR professionals globally (there are country frameworks too for Argentina, Australia, Canada, Singapore, South Africa, Spain, Sweden, United Kingdom and United States). It’s a design that we can all use to better career plan, manage our teams and their development, recruit for the right skills and develop curricula that will help those practicing PR. What’s more exciting is how the team behind the GCF are bringing this framework to life. They’re working with a team of software engineers to create a tool that’ll enable us to assess both individual and collective capabilities and set developmental goals. A sample visual is below. I’ll admit that a shot of how the tool works doesn’t do it justice. I’ve seen the tool in action, and the possibilities it provides in terms of not only mapping skills and future development, but also transforming development goals into a training plan are inspiring. What the Global Capability Framework and the tool also provide is an ability to engage with and educate our friends in HR what communications is. To paraphrase Dr Anne Gregory, Professor of Corporate Communication at the University of Huddersfield and director of the project, we have a capability framework that can be applied globally; reflects cultural and regional variations in public relations as a profession; and is forward looking in its approach which can be used by both global academic and practitioner communities. What this means is that for the first time, our colleagues in HR have a resource that maps out everything they need to hire communicators, to train communicators, and to develop them over the long term. They also have a tool which will measure progress. Why does this matter? I’ve often found that the functions we work with, such as Human Resources, don’t know what we do well enough. And yet they’re defining our function for us, they’re writing our job descriptions, they’re involved in hiring, and they’re measuring our success. We’re now talking their language, with a framework which has been developed both both academics and practitioners. The GCF will also help to standardize teaching for future generations of PR professionals. It’s always been a tragic irony that the world’s community of communicators have struggled to explain exactly what they do and how they do it to their colleagues, particularly in HR and also in management. We now have the means to educate the people we work alongside in Human Resources. Our next challenge is how to educate those above us on our contributions to the organizations we work for. Thank you to Professor Anne Gregory, Dr Johanna Fawkes, Dr Elizabeth Montoya-Martinez and Dr Royce Turner at the University of Huddersfield in the UK, to Argentina’s Professor Gabriel Sadi, Australia’s Dr Marianne Sison and Dr Katharina Wolf, Canada’s Dr Amy Thurlow and Dr Alex Sevigny, Singapore’s Professor Gregor Half, Spain’s Professor Elena Gutierrez-Garcia, South Africa’s Professor Ronel Rensburg, Sweden’s Professor Jesper Falkheimer and America’s Professor Katerina Tsetsura for all the work and time you’ve put into this. I believe the impact that this work will have on the industry is immense. I’m looking forward to using the GCF tool and helping others better understand what we do. For more information on the GCF, you can download the complete capability framework and individual frameworks from the University of Huddersfield here.